Scroll down for part (1) of this post. On this day, 18 January, in the year 1919, the Paris Peace Conference (aka Versailles Peace Conference) opened in the French capital to draw up the terms of peace with Germany after the allied victory in World War I. For the first time there were participants in a major European diplomatic conference who couldn't use French. It was first and foremost the American delegation headed by their president, Woodrow Wilson; but there was also the British prime minister David Lloyd George. An interpreter had to be found urgently for them who could work with language skills and self-assurance at the level of the negotiations and their participants. It was the French who found the solution, thanks to their well organised military interpreter corps. His name was Paul Mantoux. 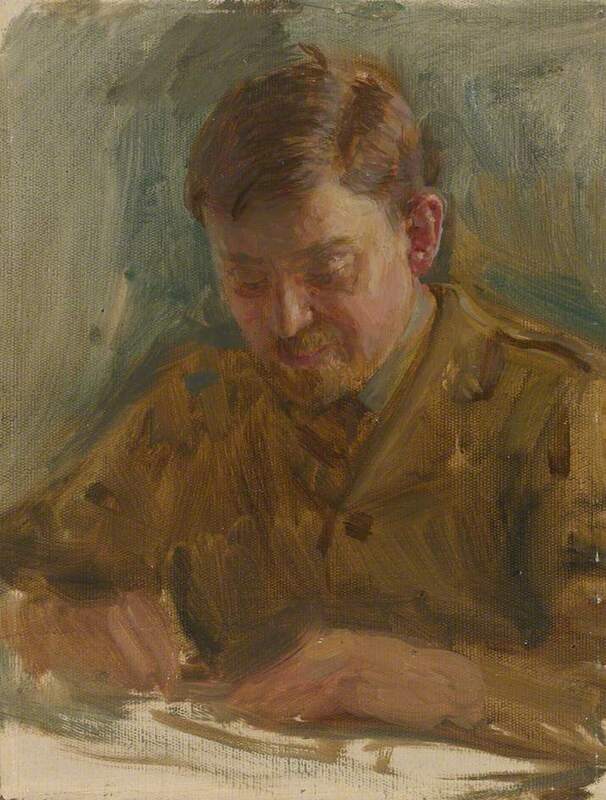 (1877-1956) and he held the wartime rank of Captain, His English was perfect because he'd taught in England; and he had an unusual grasp of English culture because in civilian life he was a leading historian of the British industrial revolution. Furthermore he had the necessary interpreting experience, because he'd been recruited during the war for negotiations between the French and their British allies. In the event, as we shall see, he did more than just interpret. Actually Mantoux's period of glory began not in January but on March 24. The leaders of the principal allied delegations – Britain, France, Italy and the USA – became impatient at the slowness of the proceedings and constituted themselves into an inner Council of Four. Though Mantoux was present officially as interpreter for Clemenceau, the French premier, he was in fact the only interpreter for everybody throughout the crucial sessions of the Council of Four until June 28. "Possessing an extraordinary memory for thought and phrase,,, when the speaker had finished, this remarkable linguist would translate his remarks into English or into French as the case might be, without the least hesitation and with a fluency and completeness which were almost uncanny… while Professor Mantoux would employ inflection and emphasis with an oratorical skill that added greatly to the perfectness of the interpretation." * On the technical side, Mantoux used the technique known as full consecutive, which makes it possible to translate long stretches of speech up to half an hour or more without interrupting the speaker. (as opposed to the short consecutive used by untrained natural interpreters who can render at most a few sentences at a time), Since very few people can store and recall such long stretches naturally, expert interpreters take notes of what is being said. Interruptions would have spoiled the style of orators like Clemenceau or Lloyd George. How did Mantoux learn note-taking? Probably from his university experience. Whether or not he actually invented full consecutive, his success in Paris established it as the predominant method in conference interpreting for the next 25 years, until the changeover to simultaneous interpreting at Nuremberg and the United Nations, the work of another outstanding interpreter seconded from the military, Léon Dostert. Even today, full consecutive is used when the equipment for simultaneous is unavailable on account of logistics or cost. * On the social side, Mantoux was a distinguished intellectual able to hobnob with the great political personalities he served. He carried this distinction over to the League of Nations. Bear in mind that for consecutive the interpreters were physically much closer to the speakers than present-day simultaneous interpreters in their glass-fronted booths. So it came about that, right from the start, conference interpreting acquired prestige and an aura. Furthermore those attributes still command high remuneration, typically three times as much as a court interpreter's. Put the two together and you'll know why student interpreters dream of becoming international conference interpreters for organisations like the European Commission, which employs hundreds of them. * In one respect, nevertheless, Mantoux hasn't been followed by later generations. Today's interpreters are trained to appear neutral in their style of delivery, whereas Mantoux interpreted "throwing himself into each speech with such verve that one might have thought he was himself begging for territory." * Mantoux not only left a legacy to interpreters, he also left a unique legacy to historians. As already explained, he took notes while he was interpreting. Usually interpreter's notes are of no use to anybody else because they're scribbled in a code that's personal to that interpreter (as was overlooked by Trump when he confiscated the interpreter's notes of his conversation with Putin.) Mantoux, however, with an eye to their historical importance because he was a trained historian, kept his notes and took great pains to dictate a legible redaction of them every morning to a secretary in the form of a confidential memo to Clemenceau. Thus they have come down to us. They were overlooked for many years, but eventually they were published in France in 1955 and then translated into English in the USA (see Sources below). One of the first actions of the Paris Conference was to set up the League of Nations, a forerunner of the United Nations and like the latter intended (in vain) to prevent future wars. Geneva was selected for its headquarters. At the end of the Conference, Mantoux was given his just reward by being appointed head of the Political Section of the League, and so his influence continued there. Even after his time, his legacy extended through his early colleagues. One of them was Antoine Velleman. In 1941 the League was made moribund by the outbreak of the Second World War and its interpreters were left high and dry in Geneva. Hoping optimistically that their activities would resume, they decided to open a school for aspiring trainees and Velleman was installed as its first head. That was the beginning of the famous Geneva school, which became a model for many others. So to all of you who are interpreters, this is a day to celebrate. The Wikipedia article on Mantoux is inadequate. It concentrates on him as a historian and pays scant attention to his role as interpreter. Paul Mantoux. The Industrial Revolution in the Eighteenth Century: An Outline of the Beginnings of the Modern Factory System in England. Translated from French by Marjorie Vernon. London: Jonathan Cape, 1929. Mantoux's magnum opus on British history. Ruth A. Roland. Interpreters as Diplomats: A Diplomatic History of the Role of Interpreters in World Politics. Introduction by Jean Delisle. Ottawa: University of Ottawa Press, 1999. Paul Mantoux. The Deliberations of the Council of Four (March 24-June 28, 1919) , Notes of the official interpreter. I: To the Delivery to the German Delegation of the Preliminaries of Peace. II: From the Delivery of the Peace Terms to the German Delegation to the Signing of the Treaty of Versailles. (Supplementary volumes to the Papers of Woodrow Wilson). Translated from French and edited by Arthur S. Link with the assistance of Manfred F. Boemeke. Princeton University Press, 1992. 2 vols. There's a portrait photo of Mantoux in army uniform as frontispiece to vol. 2. Margaret Macmillan. Paris 1919: Six Months that Changed the World. New York: Random House, 2002. Herbert Arnould Olivier. Preparatory study for the Supreme War Council in session at Versailles in 1918. Mantoux is wearing army uniform and writing notes. Thanks for this very interesting post. On the issue of the changeover from consecutive to simultaneous, while it is true that simultaneous established itself once and for all at the Nuremberg trials, there were experiments of all kinds at the League of Nations and the ILO during the 1920s and 30s. They are described in some detail in the book by Jesùs-Baigorri-Jalòn to which you refer. One of the first successful attempts at providing a genuine simmultaneous interpretation was that of André Kaminker who interpreted Hitler's first major speech from Nuremberg on French radio in 1934. Thank you, you're right about simultaneous. If you enter "filene" in the Search box on the right of this post you'll be taken to an earlier post with an attempted explanation of its invention in the 1920s. Mantoux was before my time, but I did memorably meet one of his contemporaries, Jean Herbert. As for "toil and trouble", it's eclipsed for me, a Brit expat living in Spain, by the ludicrous antics of the Westminster parliament over brexit. You’re also right to draw attention to the ILO. The year 2019 is really a double centenary in conference interpreting. Baigorri-Jalón tells us how not only the Paris conference but also the Washington International Labor Conference (ILC) required interpreters that year. However, the Paris conference was the more important, since its immediate legacy was the League of Nations. Furthermore many of the Washington interpreters were what Baigorri calls “ad hoc” interpreters. See J. Baigorri-Jalón, Conference interpreting in the First International Labor Conference (Washington, D. C., 1919), https://www.erudit.org/fr/revues/meta/2005-v50-n3-meta979/011609ar.pdf.